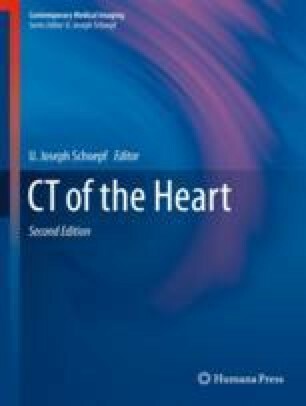 The introduction of protocol developments and software modifications for cardiac computed tomography (CT) imaging such as automatic tube current modulation, optimized tube potential selection, electrocardiography (ECG) pulsing, and iterative reconstruction algorithms enabled a considerable decrease of ionizing radiation dose of cardiac CT examinations. In parallel, submillimeter spatial resolution and high temporal resolution for motion-free imaging of the small anatomic structures of the heart were achieved. Efforts must be made for choosing the best combination of all available techniques for radiation dose reduction for optimizing and minimizing the radiation exposure to each patient undergoing cardiac CT.